You can make your own high quality garden cart and this Whizbang plan book shows you how. You are purchasing a pdf copy of the 44-page plan book, originally published by Herrick Kimball in 2007. 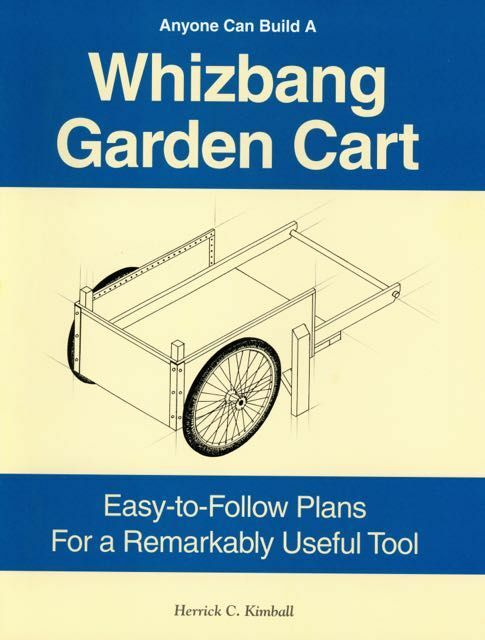 The book provides step-by-step, easy to follow specifications for making your own remarkably useful Whizbang garden cart. Everything you need to know is in the book. Paperback copies of the book are still available from PlanetWhizbang.com for $14.95 ( so you save $7 when you purchase this book as a pdf download).